When you search for ways to make money on the web, you’ll likely come across something known as a GPT site. Basically, GPT sites are reward sites that pay you to do various things on the internet. 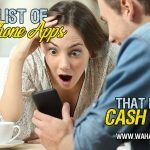 You may make some cash from watching videos, completing free or paid offers, taking surveys, or simply searching the web. There are some scam GPT sites out there, of course. Unfortunately, this comes along with the wide world of the internet. Many PTC sites (short for Paid-to-Click) also can be deceiving, offering you a lot of cash just to click on ads or links. Lucky for you, I know my way around GPT and PTC sites because I’ve used them myself to make some extra money online. Disclaimer: Most of the time, you won’t get rich from these rewards sites. But, I do find that some of them offer enough extra cash to make my time worth my while. Do you know what I like even better? When they pay instantly via PayPal! I tend to stay away from GPT sites that take a long time to get me my payment. It’s not that they aren’t worthwhile for some people, but I simply like having my rewards as quickly as possible. It makes me feel like I’m spending my time wisely! So, if you’re like me and you don’t want to wait around for your earned cash, try out some of the GPT sites below! 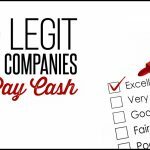 The following reward sites will pay you fast with PayPal cash or other gift cards. As a note, I haven’t used all of these myself. But, I have done the research and read reviews of those I haven’t used just to make sure they’re legit. I’m going to go ahead and put Swagbucks first on this list because, if you know me at all, you know I love this site. I’ve gotten paid several times, so I can say, without a doubt, that it’s 100% legit. I’ve never had a single issue getting my rewards that I cash in my Swagbucks for. Additionally, I also think Swagbucks has the most to offer in terms of things to do. If you don’t like watching videos for cash, play some games. If that’s not your thing, take a survey. If you’d rather not do any of that, just use Swagbucks to earn cash back from shopping online. I personally use it for a variety of tasks, which helps me earn Swagbucks quickly. But, I will say that online shopping probably gets you the most Swagbucks in the shortest amount of time. Then again, I’m an avid online shopper, and I might as well get cash back for something I do anyway! When it comes to payment and rewards, Swagbucks has tons of gift cards to offer. PayPal cash is also an option, which is what I typically choose. Swagbucks does state that most gift cards will take between 10 and 14 business days to reach you, even though they send mostly e-gift codes. But, in my experiences with both PayPal cash and Amazon gift codes, I’ve gotten paid way before this time period. In fact, my Amazon gift codes usually come the next business day, and my PayPal cash has, on occasion, come within just a few hours. I’ve read about other people having similar experiences with Swagbucks, so it’s possible that you will too! Just keep in mind that Swagbucks does say that it might take longer, so not everyone may get their cash as quickly. But, I thought I’d throw it out there on the chance that you get lucky, too. PrizeRebel is another website that’s been gaining some traction in the GPT world. The site is mostly for surveys, but there’s also a referral program that can get you some more cash. You can redeem your rewards for various gift cards, including PayPal, Amazon, iTunes, and more. 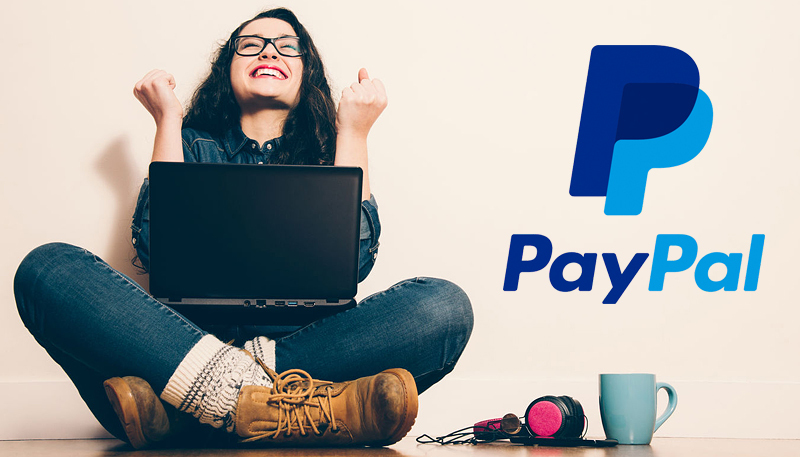 Anything other than PayPal cash may not be instantly rewarded, but you’ll get your PayPal cash immediately transferred to your account. You can also try your hand at winning some of the sweepstakes and contest the site offers to earn extra money. DollarClix is a site that is super quick to sign up with. Fill out a quick form, and you’ll instantly get 10 cents credited to your account. This site seems to focus mostly on paid surveys, but it also has an extensive offer wall with free and paid offers that give you rewards. You can also make extra money by referring your friends, which seems to be a popular way to earn with this site. DollarClix also has a mobile version so that you can earn even when you’re away from home, check your account balance, redeem rewards, and more. The site offers various payment methods, like Amazon gift cards, PayPal, and Bitcoin, which it says you can earn instantly after cashing out. Get-Paid isn’t a well-known GPT site, but those who use it mostly say that it’s worth their while. I like that the main page also shows you who has cashed out recently, and how much they earned, to help the site’s trust factor. You can earn cash by completing surveys, playing games, signing up for offers, and more. Get-Paid pays with WebMoney, Bitcoin, PayPal, and other options. According to the site, you only need $0.50 to cash out, and you’ll receive your money within 24-48 hours. Most people say that get paid within 24 hours without issue, regardless of their chosen payment method. 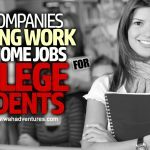 InstaGC is a GPT site I’ve mentioned quite a bit on Work at Home Adventures. I’ve also used it myself, so I know it works. This one pays you to do things like take surveys, complete offers, shop online, and even search the web. You get paid in points, which you then redeem for various prizes. You get 10 points just for signing up, which only takes a minute. All the gift cards that InstaGC offers are delivered electronically and have no wait period. You should receive them within minutes. InstaGC users even post on the site’s Facebook page when they receive their rewards so that others can see that the company does pay. iRazoo is a very clean, well set-up GPT site that also pays instantly. 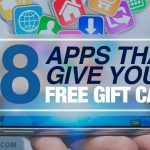 Like most other similar websites, this one pays you to play games, watch videos, and even download some fun apps. You can earn faster by referring your friends and family to the platform. You can get 100 points just for entering your email for iRazoo updates, and you can earn even more points by reading your emails from iRazoo! This is another site that says you may have to wait a week for payment, but some users on the web have noted that they’ve gotten paid much quicker, like no more than a day or two for PayPal payment. You can earn an easy $0.25 when you sign up for Offer Nation, which will only take you a minute or so. Then, start earning when you complete surveys and offers from Offer Nation partners. 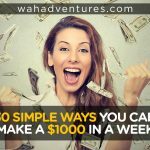 You can even win money with the site’s monthly sweepstakes of $1000. Offer Nation pays when you have a minimum of $1 in your account. You can choose between Skrill, Payza, PayPal, and Amazon Gift Cards, all of which make their way to you the same day that you cash out. You can also view payment proofs on this site by clicking here. PiggyBank GPT has been around since 2010, paying its members quickly. I haven’t used this one myself, but I’ve read some reviews on the web that have mentioned that it’s legit and sticks to its promises of paying quickly. One of the best things about this GPT site is its 25% referral earnings! You make 25% of everything your referrals make, and then another 5% from their referrals. You can also make money through the site’s offers from its partners or through paid surveys. The site pays via PayPal and AlertPay, and users have noted that either one usually only takes a few hours to receive. PocketMoney GPT has surveys, paid offers, and free contests that you can win. You can also earn 10% from your referrals, but unfortunately, there’s no tiered program here. You can redeem any points you earn via PayPal cash or for one of several gift cards. One of the most popular options is an Amazon gift card. You only need $1 in your account to cash out, which means you could potentially cash out frequently! The site allows you to cash out once per day. You’ll receive your payment or electronic gift card code the same day, according to the site. Points2Shop is one of the more well-known GPT sites on the web. Points2Shop also gives you money to refer your friends, up to $1.50 each time someone signs up through your link! When you sign up, you’ll get 250 points immediately credited to your account. The rewards system works a little differently here. You can browse the catalog for things you want to buy via Amazon with your points. You’ll have to wait for your item to ship, of course, but you can use your points as an instant redemption for your prize. And, some have stated that there are sometimes gift card prizes that you can purchase on Amazon and receive instantly, so that could be an option for you, too. Quick Rewards offers a ton of ways to earn money, so you can likely find something you love doing on this site. You can earn with surveys, playing games, shopping online, watching videos, completing offers, and more. You only need a penny to cash out with PayPal here. The site says most payments will clear within 72 hours, but many users have noted that they’ve gotten paid much quicker than that. Or, you can also redeem for one of several gift cards if you have $5 or more in your account, but you’ll need to wait about a week for that. RewardingWays actually took over some of the older GPT sites to combine them into one bigger site. You can make money through surveys and completing paid offers on this site. RewardingWays offers several ways to get your payment, including Skrill, Payza, Bitcoin, Amazon, and PayPal. But, only instant payments can go through with PayPal. You can make extra money here with referrals, which gives you 25% of all the earnings your referrals make. And, you can even entice them to join with the site’s offer for them to get 20 cents in their account just for signing up. SuperPay has both instant and daily payments, depending on what type of payment method you want to have. And you only need $1 in your account to cash out. This site pays you for completing surveys and offers and referring your friends, much like other similar websites. You’ll get 25% of your referrals earnings, so this is definitely a good one to try if you think you can get a lot of people to sign up. There are also some cash contests that you can enter to win some more money. PayPal is the only form of payment that will get you your money instantly, though, so be sure to choose that if you want an instant payment. Treasure Trooper is another site that I’ve personally tried and can vouch for being legit and offering quick payments. I like this site because it has plenty of ways to earn cash, from surveys to two-tier referrals. And, you can even play a treasure hunt game that can give you up to $100 as a bonus reward. The site offers instant payments via PayPal. You just need $20 in your account to do so, and the site will transfer your cash on the 15th to your PayPal account. As you can see, there are quite a few ways to earn some quick cash with GPT sites. From my research, these places are legitimate sites that pay, so you won’t have to worry about not receiving your cash. I’m sure there are others out there, but I can’t vouch for them all. Beware of scams if you search for other GPT sites on the web, because there are plenty. Read reviews before you sign up to make sure that the sites pay, and you won’t be wasting your time. Did I miss any of your favorite instant-pay rewards sites? Please let me know in a comment below! Top 18 Legit Sites That Pay You Just to Read Emails! 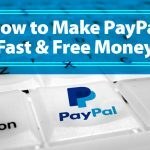 21 Best Surveys That Pay Through PayPal: Get Your Money Fast! I’m looking for paying surveys that I can do on my cell phone and a computer isn’t required, just the internet and a mobile. Are there any survey sites that don’t require you to have a computer to do the survey? Some of the surveys are long. You have to have the time and patience to sit and do them.